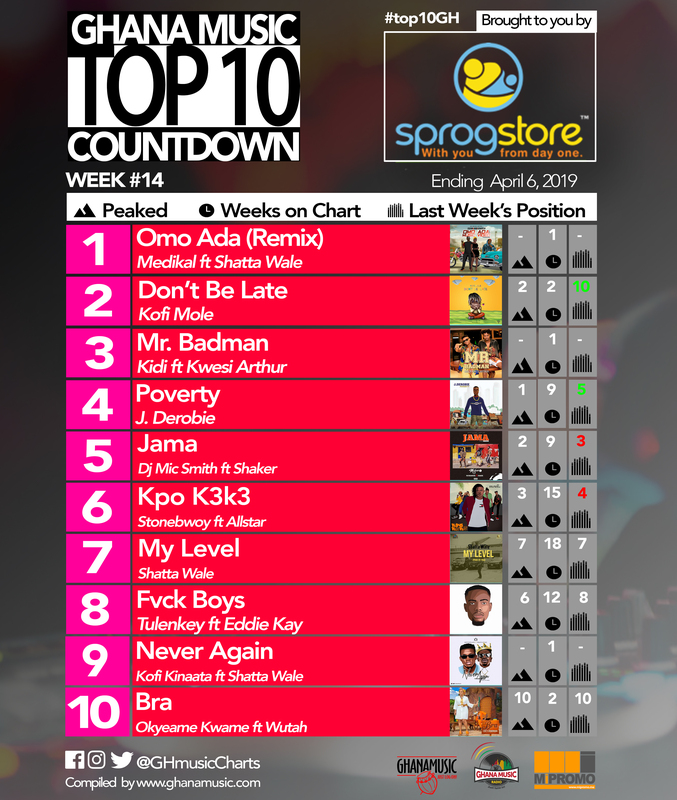 Week 14: Ghana Music Top 10 Countdown. Week #14: Week ending Saturday, April 6th, 2019. Ghana Music Top 10 Countdown. Week 15: Ghana Music Top 10 Countdown. Week #15: Week ending Saturday, April 13th, 2019. 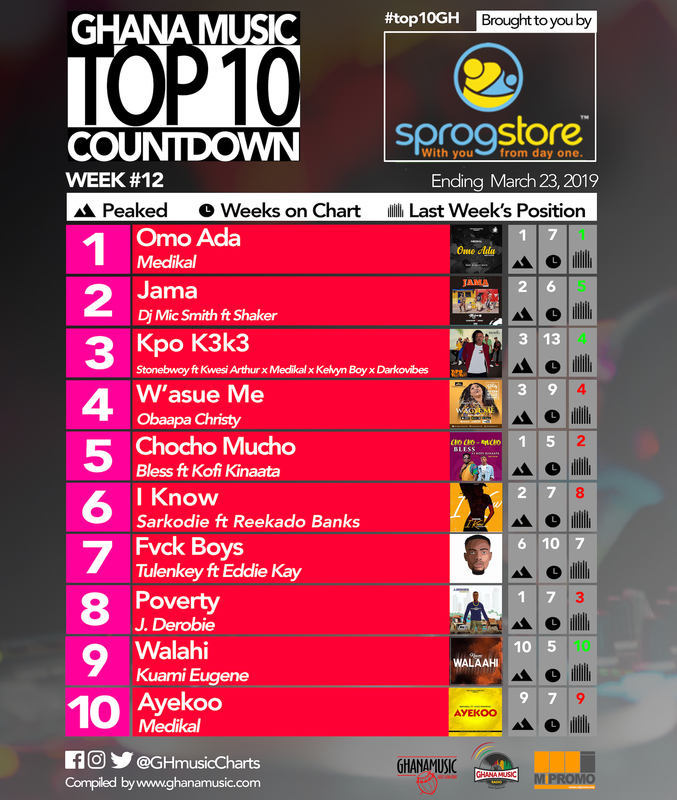 Ghana Music Top 10 Countdown. Week #13: Ghana Music Top 10 Countdown. Week #13: Week ending Saturday, March 30th, 2019. Ghana Music Top 10 Countdown. 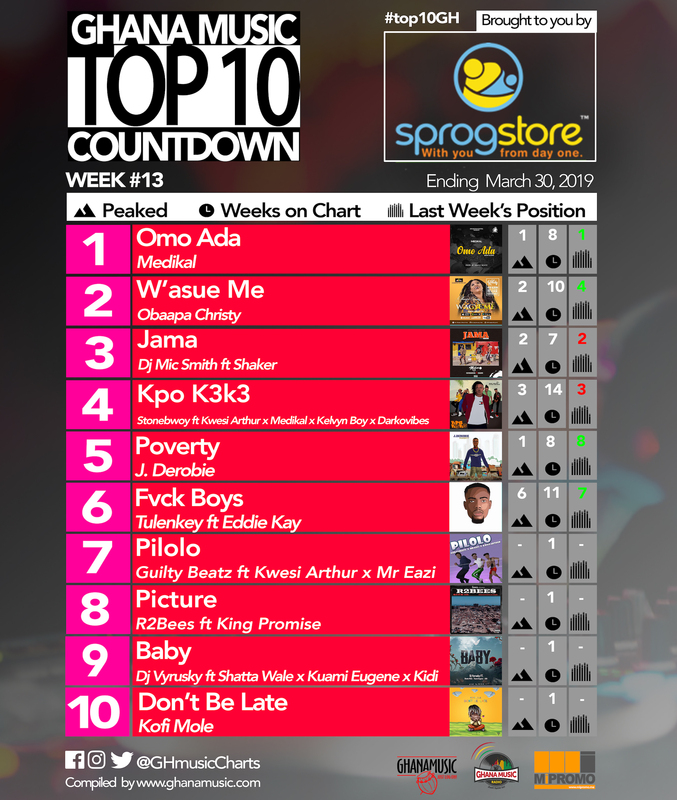 Week #12: Ghana Music Top 10 Countdown. Week #12: Week ending Saturday, March 23rd, 2019. Ghana Music Top 10 Countdown.